Many people may have heard of fostering and know what it is, but find the process slightly daunting and may be unsure of what the process fully includes. The process can take several months to complete, but we will assure you feel supported throughout your fostering journey by our dedicated, highly skilled team members. To begin your fostering journey contact us! We will be able to give you a wide range of support and answer all of your fostering questions. We also have lots of detailed information on our website. To begin your fostering enquiry with us, you can contact us through our website, calling our direct line or messaging us through any of our social media pages. Within a short amount of time we will get back to you and give you a phone call. This will be a brief introduction from one of our recruitment team members. This will give you the opportunity to get to know Sunbeam and a chance for us to get to know you. We will ask you a few questions such as where do you live, to ensure we cover your area. Do you have a spare bedroom and so on? This will ensure that you meet the basic fostering requirements. The next step from your enquiry will be a home visit. This is where a member from our team will come and visit you at your home. This will provide us with the opportunity to get to know you better and your family. You will be able to ask us any questions. We will then go through the fostering process with you to make you more aware. At the end of the home visit, if we are happy to proceed to the next step you, we will ask you to fill out an application form. You can take your time to go through this and answer all the questions as thoroughly as possible, you will have the option to fill this form out online or by a hardcopy. Once you have completed that you can send it back to us. We will also provide you with a broacher with some more fostering information for you to read over. Once you have filled out and completed your application form and sent it back to us, we will then begin your formal assessment. The fostering assessment process is where we will review your suitability to become a foster carer. This stage will be undertaken by our skilled team who will give you support throughout this assessment. As part of this assessment you will be required to provide a reference, both personal and from previous employment. You will also be required to have a medical check with your GP, this is something that Sunbeam will cover and pay for. We will also need your consent to do other checks with Local Authorities, schools or any other agencies. During this stage you will get to do some specific training, this will be a three-day course and is called Skills to Foster to ensure that it is convenient travel for you, we will hold the training in one of our offices which is closest to you. Attending the courses provides you with a great opportunity to meet other foster carers, share fostering experiences or if you are new to fostering it also provides you with a great opportunity to listen to some of peoples great fostering achievements. For carers wishing to look after disabled children or challenging children there will be further training provided by us at this stage. The next stage will be panel, following your training and your fostering assessment we will then submit the report to an Independent Panel for recommendations to be made in relation to the numbers and ages of children that can be placed with you. You will be asked to attend panel with the social worker who completed your assessment. The Agency’s decision maker will then have the final decision regarding your approval. Once approved you will then be a registered foster carer with Sunbeam Fostering Agency, you will then be allocated a Supervising Social Worker to help and support you throughout your fostering journey. 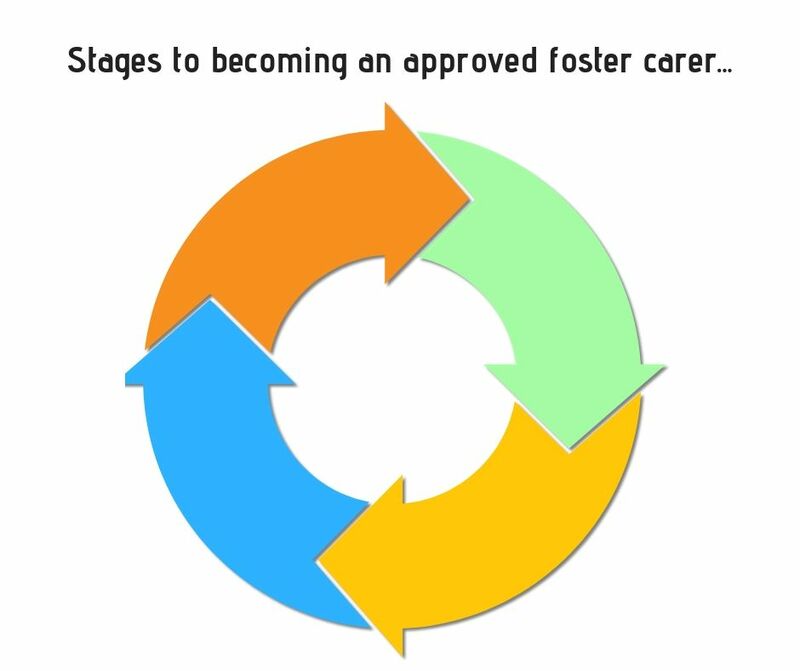 The path to becoming a foster carer requires commitment to the assessment process. Our highly skilled and dedicated team will be here to support you throughout your journey. To become a foster carer or to find out more information contact us today.